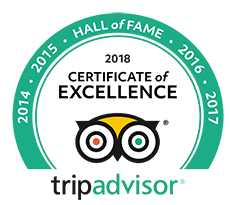 Have you ever heard about World Heritage Sites? These are actually landmarks or areas that have officially been recognized by the United Nations Educational, Scientific and Cultural Organization (UNESCO) as having historical, cultural, or scientific importance to the world. In fact, Indochina is no stranger to UNESCO World Heritage Sites. Therefore, there are dozens of UNESCO sites across Vietnam, Laos, and Cambodia. With a total of 13 sites on the list of World Heritage Sites, in addition to 18 sites on Southeast Asia’s UNESCO Tentative List, there are surely a lot of wonderful things to explore through an Indochina Heritage Travel tour. On this tour, we are happy to introduce to you some highlights of UNESCO World Heritage Sites, including Luang Prabang in Laos; the enticing town of Hoi An, Complex of Hue Monuments, and breathtaking Halong Bay; and an in-depth exploration of the spectacular temple complex of Angkor. Are you ready? Come here! It seems to be a big mistake of ignoring Luang Prabang – one of the UNESCO World Heritage sites. As Laos’s former royal capital, the town is indeed a magical and enchanting destination for many good reasons. Photographers can have their passion satisfied because around every corner is beautiful and exotic enough to take shots. The highlight is that this amazing town is astoundingly festooned with temples, pagodas and shrines. 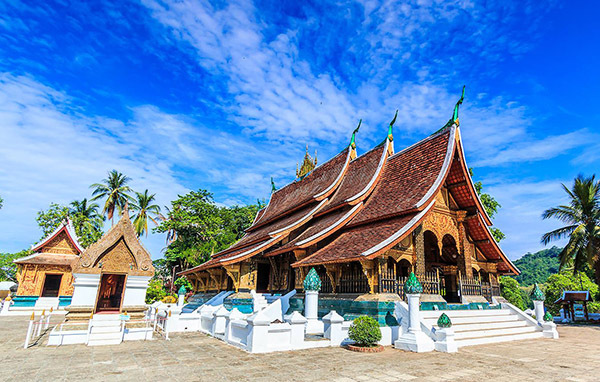 Moreover, Luang Prabang is also reputable for its rich architectural and artistic heritage. You can contemplate such combination through Lao traditional urban architecture and buildings of the colonial era. Since the land is situated at the heart of a mountainous region, there are a number of treks and walks for those who love adventure within a few days. What else? The list of activities in the town is surely endless. 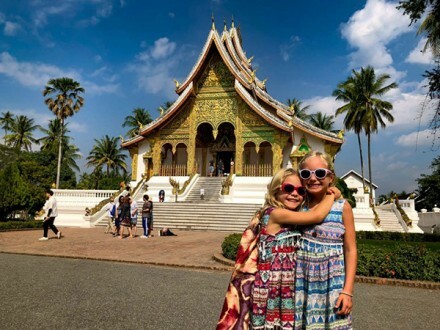 Whether you want to have yourself immersed in the cascading Kuang Si Waterfall, enjoy a comfortable Laos massage, take an elephant ride, discover the mysterious Pak Ou Caves, wander around night markets, or simply witness the orange-robed monks doing morning alms ceremony, a visit to Luang Prabang will make a memorable addition to your Indochina exploration. Another Indochina Heritage site is Halong Bay. The bay gets its title famous as one of the world’s most unique and spectacular locations. 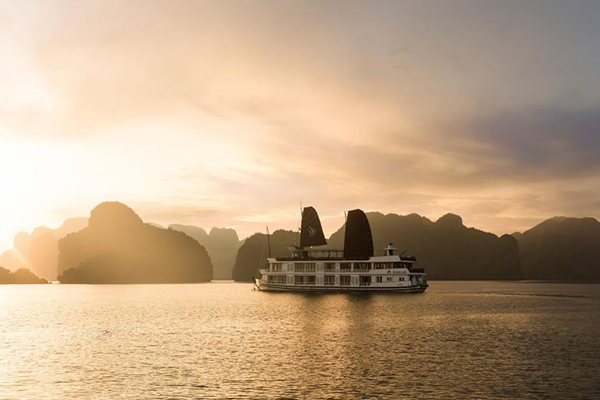 The name “Halong” can stir much curiousness because it can be understood as “where the dragon descends into the sea.” With an area of about 43,400 ha as well as including over 1600 great islands and islets, it forms an awe-inspiring seascape of limestone formations. Actually, the exceptional scenic beauty of the site is heavily complemented by its biological interest. Coming here, you will be left from one admiration to another by the bay’s location which is set on the drowned limestone karst landforms, surrounded by a network of caves, grottos, and arches. So, exploring the Bay by boat is always a good idea. Of course, don’t forget to bring a camera for majestic natural scenery. For most tourists, the place is a relaxing getaway where they can marvel at the islands’ beauty from the deck of a junk, enjoy a refreshing drink in hand, and watch the sun slowly sets. Let’s continue fulfilling the list of Indochina Heritage Travel by checking in Hue – the best destination to experience Vietnam’s imperial past. 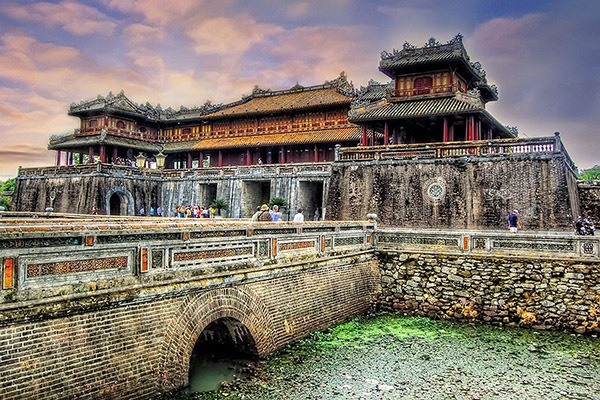 The greatest part of the trip is to discover Complex of Hue Monuments, including the great Imperial Citadel and well-known tombs of the Nguyen Emperors. Whether exploring by boat, bike or simply on foot, the city always brings you surprising memories. How about activities? Visitors are totally able to board a boat trip along the Perfume River and then travel to the Thien Mu Pagoda, surrounded by lush gardens. Or they can learn more about the royal life and magnificent architecture by taking time to see two of the tombs for Nguyen Emperors, including Minh Mang Tomb and Khai Dinh Tomb. For gourmets, Hue is also home to some of the country’s spiciest dishes with unique flavors and eye-catching display. 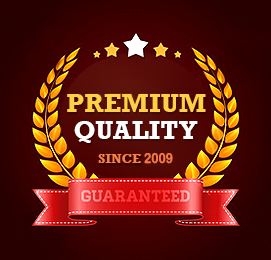 Don’t hesitate to fulfill your stomach with some delicious dishes, like “Bun Bo Hue”, “Bánh Bèo”, “Chè Huế,” etc. 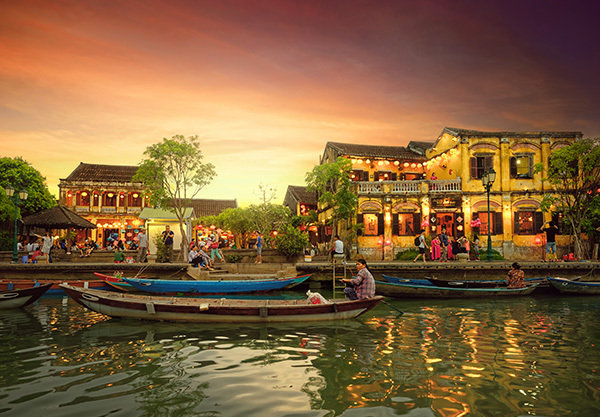 Located in Quang Nam Province, Central Vietnam, Hoi An Ancient town was one of Southeast Asia’s busiest trading ports where a number of merchants came and did business. However, as the Thu Bon River silted up during the 19th century, then the town became a very quiet backwater. During the war and political turbulence, most parts of Hoi An was mercifully undamaged, and the old town was declared as a UNESCO World Heritage site in 1999. What makes Hoi An appealing and attractive to tourists is that many streets here are car-free zones, ideal for them to explore the town on foot. Some travelers also see the narrow roads as the chessboard. If you are a walking lover, then the town is an impeccable place. Just take a promenade along the peaceful streets, you will surely feel relaxed and refreshed. It seems a big pity to skip the town’s special attractions, such as the Japanese Bridge, the Phuc Kien Assembly Hall, the Phung Hung Old House, etc. Besides walking, kayaking, cycling and visiting lantern workshops are nice ideas, too! 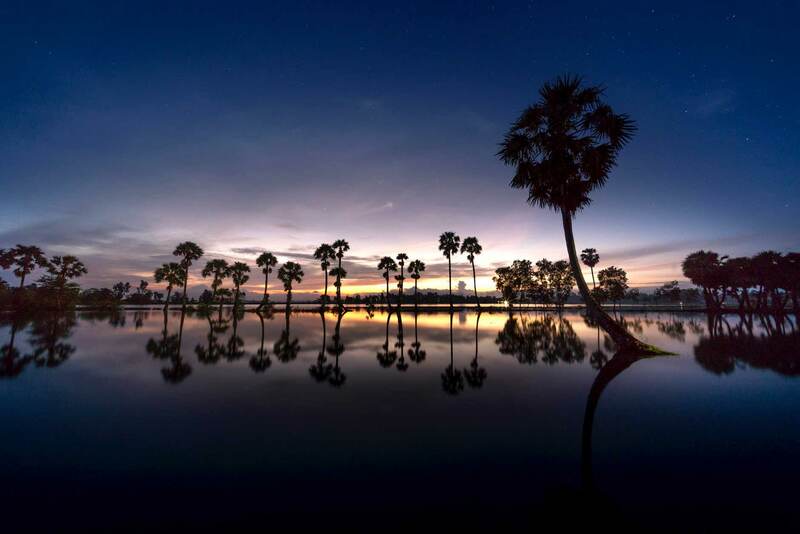 When it comes to Siem Reap, people often think about the complex of temples at Angkor – one of the most spectacular man-made sights on the planet. 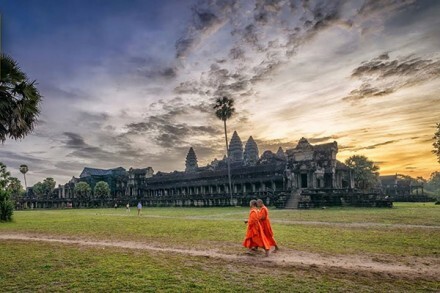 Angkor with its breathtaking and splendid temples, including the noticeable Angkor Wat and Angkor Thom, has been recognized as a UNESCO World Heritage site in 1992. There are endless words that praise the importance and grandeur of the temples. So, come to visit these, or you will feel regretful forever! The temple ruin firstly leaves a strong impression on visitors by its location, which is set amid forests with the north of the Tonlé Sap Lake and south of the Kulen Hills. Thankfully, many of the temples inside Angkor have been well-restored. So, they together comprise the most important site of Khmer architecture. There is nothing greater than watching the sunrise over the hugest religious ruins of Angkor Wat, clambering over the jungle ruins of the Ta Prohm temple, or simply taking a close glance at a number of stone faces at Bayon Temple. All surely gives you unforgettable experiences. 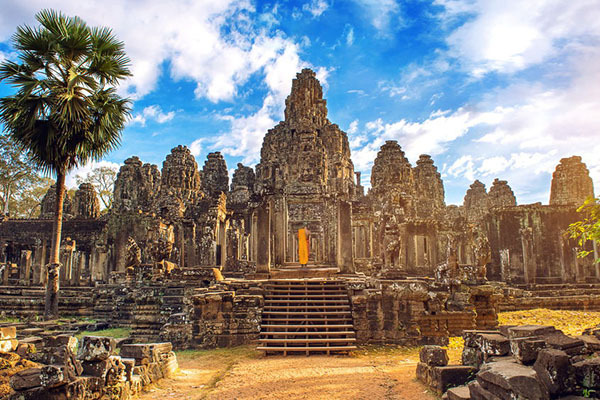 Along with exploring the Angkor Wat temple complex, there are still many attractive landmarks to consider, like the Terrace of the Elephants, the smiling faces of Bayon, the South Gate of Angkor Thom City, and the Shiva temple of Banteay Srei. Remember to feast your eyes on the Ta Prohm temple which gets its name famed in the Tomb Raider movie. 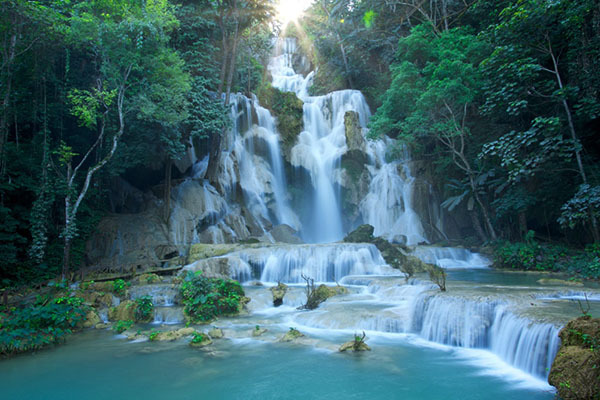 As the biggest and the most spectacular waterfall in Luang Prabang, Kuang Si strongly impresses you with its 3 levels in the height of 50 meters. Along with contemplation, tourists can get themselves soaked up in some natural pools or stay close to nature with the lush tropical jungle. For adventurous spirits, it is a good idea to climb to the peak of the falls to witness how the stunning stream is. There are over 4,000 Buddha statues inside Pak Ou Caves which make it more antique and sacred by time. Among them, Tham Thing – the lower cave and Tham Theung – the upper cave are worth exploring. Both have dozens of Buddha figures in different positions, such as Buddha meditating, Buddha reclining, etc. 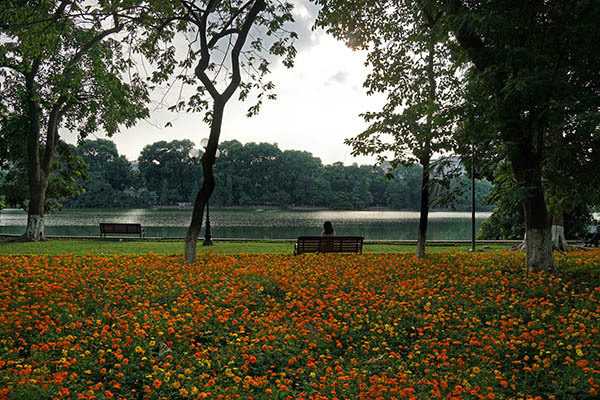 Standing out as Vietnam’s capital, Hanoi is one of the nation’s largest cities. It heavily features an interesting blend of Western and Eastern culture, which you can see through a wide range of historical monuments and architectural structures in the country. These have been protected and restored for the purpose of preserving for the future generation. Although the city terribly spent the grey decades of war, Hanoi has already rebuilt itself and then turned into one of the booming nations in Southeast Asia. Also called Saigon, Ho Chi Minh City is noticeable for the busiest and most dizzying city of both commerce and culture in Vietnam. 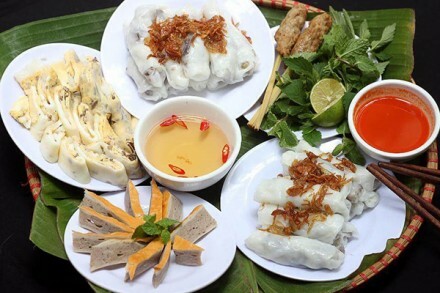 Hence, a visit to this land is compared as an encounter with French colonial architecture, memorable delicious street food, and memories of the Vietnam War. So, don’t miss this destination while you are in the S-shaped country! 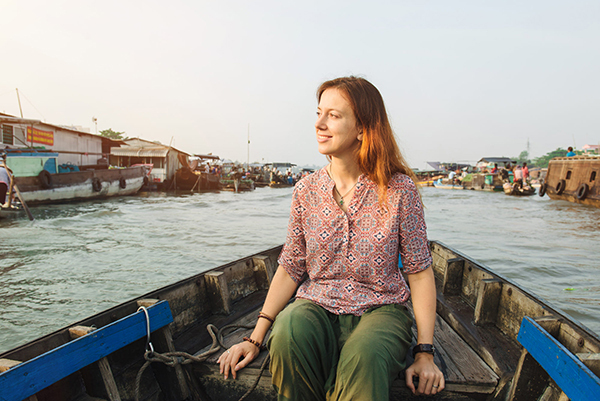 Just a few hours outside of Saigon, you can reach the Mekong Delta by taking a boat trip or bicycling through the luscious countryside. Unlike the noise vibe of the city, this sight surely gives you a totally different perspective of Vietnam altogether. Why the delta should be on your itinerary list is its vast maze of canals and rivers, endless rice paddies, green foliage, and swampland. 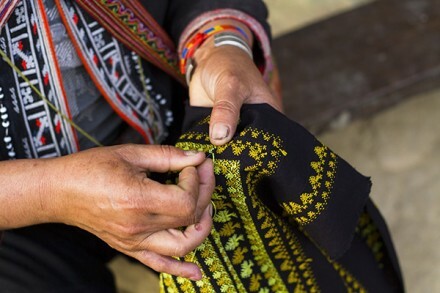 In summary, Indochina Heritage Travel promisingly leads you to a satisfying journey where you can find beautiful nature, long history, rich culture, and historical heritage sites through the nations of Vietnam, Cambodia, and Laos. Come here!